The 47-year old started her career in the entertainment industry when she worked as an intern at Sony Music. She already launched her own music label in 2005 while working for New York City's Department of Correction Office. But after a severe asthma attack ten years later, she had to retire early. It all started unexpectedly when she brought her sons, Eric and Enico, to a NASCAR experience event. 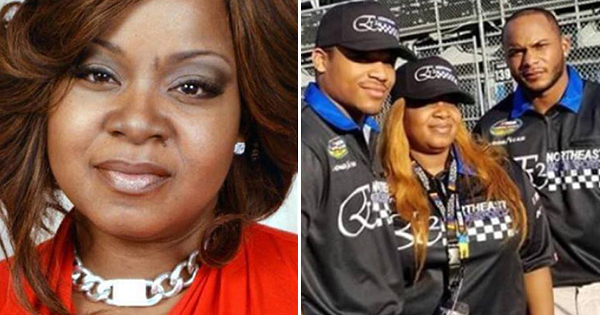 She told Black Enterprise, "I got invited to a NASCAR experience and I brought my boys along thinking that it would discourage them from driving." However, her sons loved the sport even more and so she learned to also love her sons' passion. As she got more involved in the sport, she noticed the lack of diversity since it is dominated mostly by white males. So she decided to bridge the gap and create her own team. In a statement, she said, "This team truly exemplifies diversity that is sure to attract a younger multicultural fan base. It's an honor to announce that Stenzel is now a part of this racing family." She also emphasized the relevance of her endeavor. She said, "It's important for our culture to push generational wealth to our children. It's important to lead by example. All too often our children see negative images of our culture and I think it’s very important for people of our culture actually succeeding in business."